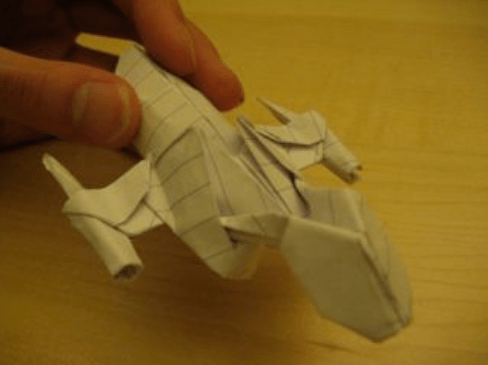 New Melbourne Browncoats, Inc. | Make your own origami Serenity! Autographed Collectibles Online Auction starts at 8pm tonight! CSTS was awesome fun! And we couldn’t do it without our Supporters! Make your own origami Serenity! Have you ever wanted to make your own origami Serenity? Why not give this one a try? It was designed by Matthew Jee and you can download the full instructions here! We’d love to see your finished product, so please show us how you went on our facebook page or on twitter.